William E. “ED” Price. Jr serves as the President of Ed Price and Associates, REALTORS and Price Commercial Properties. Ed has worked as a real estate broker for 45 years and has gathered adequate experience to enable him to serve his clients satisfactorily. Ed has also been a principal at Hinkle, Price, and Cole Property Management, Inc. since 2001. Ed has lived in High Point all his life, and he understands the infrastructure of the city. He is keen on the youth especially on their education and youth as well as communities who may be oppressed or challenged by personal problems. 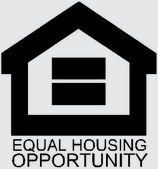 Ed channels his time, resources, and energy towards offering real estate solutions for housing and businesses.